As a result, people don’t have the available time to become a detective and go through the learning curve needed, to find the right solution on their own. Like taking a guided tour in a foreign country, you don’t have to stumble around in the dark on your own. The smarter move is to partner with someone who has already made the trip and can show you the short cut to take control of your wear steel headaches. This is the quickest path for your greater return on your investment. Here at JADCO Manufacturing Inc., our focus is dedicated to compress your time to achieve results. Our job is delivering greater value for your investment. Today thousands of people are searching online for a get-rich-quick scheme. As a result, they often fall prey to scam artists who take their savings, leaving them deeper in debt. What makes JADCO different is how we view our customers. Wear resistant steel is developed to last as long as possible before you must replace it. The key is replacing your impact and abrasion resistant steel on your terms, when it is convenient for you. Rather than having a dramatic failure, when you can least afford a breakdown. “If I said that competition in American manufacturing has increased tremendously in the last two decades due in large part to the increasing presence of foreign imports, I doubt I would get much disagreement. As a result of that increasing pressure, the importance of business partnerships has an equally important value if industry is truly going to be successful in today’s environment. As an employee of 40 plus years in the manufacturing sector of America I have seen and experienced the changing times of our industries. As we speak about business partnerships versus just ordinary salespeople; exactly what do I mean? To start, as industries trend toward ever more streamlined operations, staffs get leaner. With the changing pace of technology, it is easy to see that industry must embrace partnerships with those suppliers, vendors, and contractors that support our needs. They must bring a variety of technical expertise to the table. This means specific expertise is required to resolve chronic problems, improve productivity, and minimize downtime. Skilled vendors are becoming even more important, often more critical than the quality of the products we purchase. 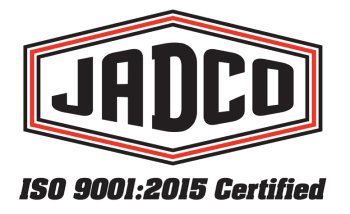 JADCO’s president, Sam Anderson; will be addressing MOTAG in Atlanta, GA on February 7th. This is the largest annual gathering of Pulp and Paper and Woodyard professionals in North America. Working with the industry professionals at JADCO Manufacturing Inc., allows us to help guide you through the maze of available products. We will recommend only the correct items to deliver results for your specific application(s). Please share this posting with your fellow workers. And keep an eye out for our new feature here on JADCO’s blog, “Wear Plate Wednesday”. Here you will discover information and techniques to allow you to discover for yourself, what materials will deliver the longest predictable material life in the wear resistant steel industry. As an industry professional, sharing your wear plate successes helps everyone get first-rate results. Please share your victories with us. We would love to showcase how you brought one of your former wear issue headaches under control. Please email the following information to srife@jadcomfg.com. • Your complete contact information. • What was your most challenging wear plate application? • How/what did you do to get it under control? • What were the production and economic results? • Before and after photos if available, are appreciated. We will be certain to contact you if your application is selected to be featured on JADCO’s blog. NOTE: If you wish to not have your name or the name of your company identified, we can work with that as well. Thank you in advance for sharing your successes. 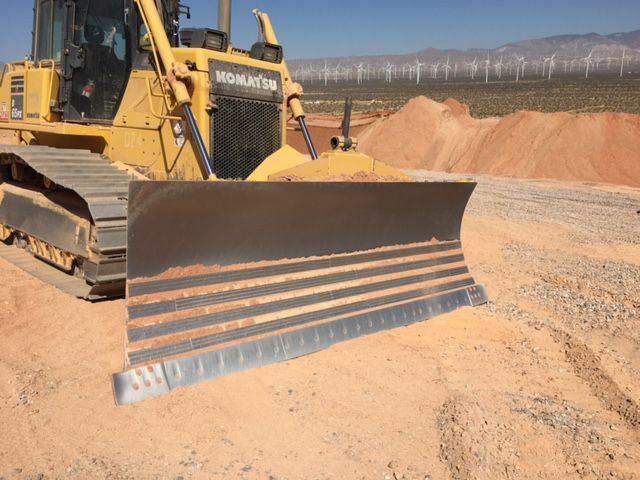 JADCO CHROMEWELD 600 (chromium carbide overlay) plate added to a blade to wear protection at a mine.